Have you signed up for your I love Canadian milk sticker? We just got our email that ours is on it's way! Make sure to get yours before they are gone! 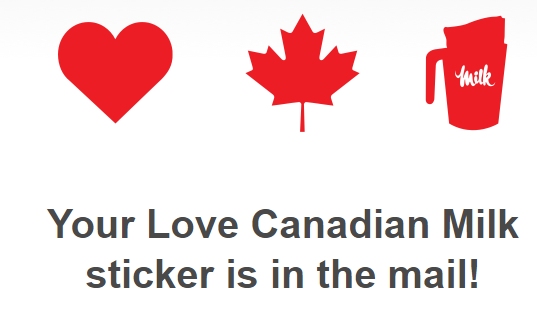 Once you get your FREE Canadian milk sticker take a picture with your sticker and post it on Instagram, Facebook or Twitter using the hashtag #LoveCanadianMilk.